Ann has a BSc in Zoology from London University and an MSc in Biodiversity and Conservation from Leeds University. 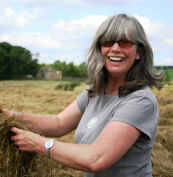 She specialises in Environmental Stewardship Schemes, ecological surveys and Whole Farm Conservation Plans. Ann is also licensed to carry out protected species work including bats, great crested newts, water voles, otters and dormice, and has the BASIS Soil and Water Management qualification. Phil has been advising Yorkshire farmers since 1986, when he returned to his native Yorkshire to work for the Farming and Wildlife Advisory Group (FWAG) after working in Soil Science and Land Drainage at the West of Scotland Agricultural College, and as Surveyor/Designer for a Land Drainage Contractor in the South-East of England. He has a Special Honours Degree in Natural Environmental Science from Sheffield University, and specialises in pond and wetland survey and design, soils, woodland design and management, and upland issues. 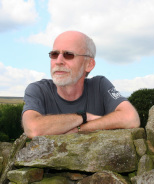 Phil also has a qualification in Soil and Water Management (BASIS) and a Mountain Leadership award. Karen has a National Diploma in Agriculture and has been FACTS qualified since 2003. As well as Environmental Stewardship, Karen specialises in nutrient and manure management, including NVZ advice and using PLANET nutrient planning software, farm infrastructure and soil management. Karen also has the BASIS Soil and Water Management qualification. 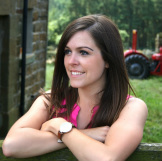 Claire graduated from Askham Bryan College in 2009 with a BSc in Sustainable Land Management. A farmer’s daughter, she has a keen interest in farming and enjoys helping out on the family farm. She worked for the Farming & Wildlife Advisory Group (FWAG) at Thirsk for 2 years before setting up YFWP with her colleagues in 2011. As well as advising on Environmental Stewardship, Claire is FACTS qualified and can provide nutrient and manure management advice (including NVZs and PLANET), as well as soil and manure analysis and involvement in Catchment Sensitive Farming projects. Claire also has the BASIS Soil and Water Management qualification.